TradesTalk is a weekly Twitter chat for all trades to get involved in! Bringing the trades together in one place to discuss, chat, debate and laugh about a different theme every week. 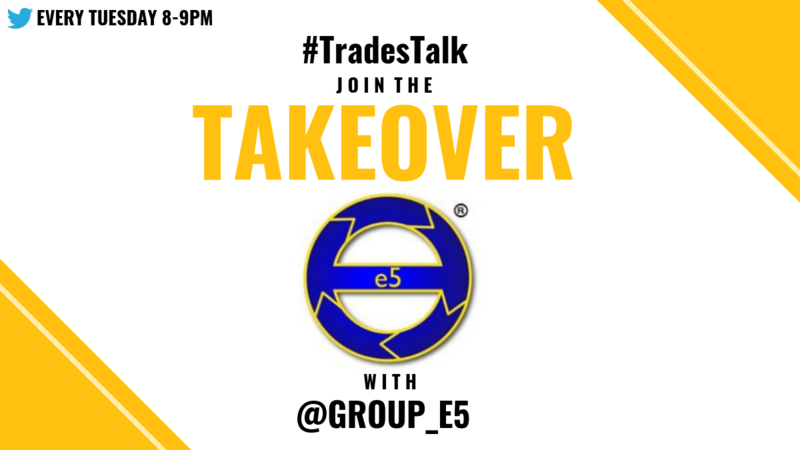 This week’s #TradesTalk Twitter chat was a takeover run by the e5 group, an organisation set up to promote improvements in the electrical industry. The chat was primarily aimed at electricians, but lots of different trades got involved. Here is our round-up of the best bits. Previous : Check Please – What is Checkatrade and what does it do?